Coco Pigs are a species of pig-like creatures in Donkey Kong Jungle Beat. 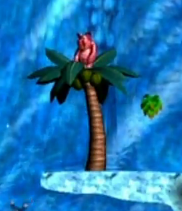 Coco Pigs appear on a palm tree and serve as a mini-boss. When Donkey Kong confronts a Coco Pig, it takes coconuts and chestnuts from the tree and throws them at him. If one of the projectiles hits Donkey Kong, he loses beats (or a heart in the New Play Control! version). Donkey Kong can deflect the objects with his Sound Wave Attack, punching one back at the palm tree. When Donkey Kong hits the tree three times, it breaks apart, defeating the Coco Pig. Donkey Kong is rewarded with five bananas. 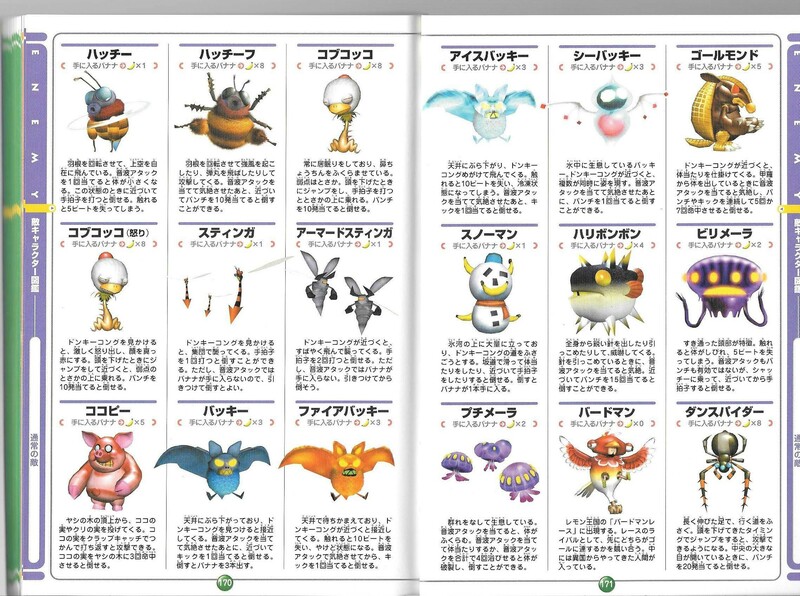 The various Goro Pig bosses act similar to Coco Pigs, and have similarly-structured names. Coco Pigs first appear at the end of the second level of Watermelon Kingdom, Desert Oasis, and later appear in Cactus Mine and Asteroid Belt. There are two Coco Pigs in both Aurora Glacier and Magma Coliseum. Coco Pigs appear to have sunburns on most of their bodies, with the areas not affected implying they sometimes wear clothing. Koko Pī From 「ココナッツ」 (kokonattsu), "coconut," and 「ピッグ」 (piggu), "pig." 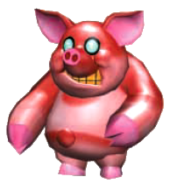 Coco Pig appears as an unused model in Super Mario Galaxy, complete with all of its original animations from Donkey Kong Jungle Beat. This page was last edited on April 14, 2019, at 13:09.